Share the post "Podcast Episode 50: Part 2 of How to stop your freelance business from wasting money"
In episode 48 a couple of weeks ago, Lorrie and I began a two-part episode all about how freelancers can save money within their business, and hunt out and eliminate expensive, wasteful habits and patterns. In episode 50 (woohoo!) we carry on on that theme, with plenty more tips and tricks up our sleeves to share. LH: Hello and welcome to episode 50 of ‘A Little Bird Told Me’ it’s a bit of a milestone. LH: My co-host Pippa and I are two freelance writers who are here on a frankly heroic mission to help you avoid the pitfalls that plague your profession and become the most wonderful wordsmith you can be. 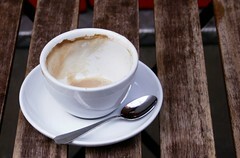 Now, the reason behind this podcast is that freelancing can be really tough and lonely. Our hope is that this recording will just be a little ray of sunshine in a world where you can find yourself, on your own, miserable and wondering what to do next. Without the support of colleagues it can be really, really tough. So, we’ll be your colleagues; your podcast colleagues. So to make sure that you don’t miss out on our lovely wisdom and wit and marvelousness, we’ve made it super easy to subscribe, you can tune into the podcast via ITunes, RSS Feed, Stitch a Smart Radio or just on Podomatic. So no matter how you want to listen, do make sure you stop by the Podomatic homepage and that’s at alittlebirdtoldme.podomatic.com because there’s a whole range of links and resources on there to accompany each episode. You’ll have all the show notes, the transcripts, any videos, any recommendations that we make, there all there. PW:…and I am Philippa Willitts and today we are completing the second half of a podcast that we started in Episode 48, in which were looking at how to prevent your freelance business from wasting money. The benefit of being a freelance writer is that there aren’t tons of outgoings, you don’t have to pay for premises and you don’t need a company car. However, there are still plenty of things that you actually have to spend out on. Whether its heat and lighting for wherever you work, to broadband to research materials, and so we started this in episode 48, so if you haven’t heard that episode yet we would recommend that you go there first. So, another way to save money for things that you need to pay for but you can get cheaper is by buying things in bulk – paper, printer ink, business cards. You know car insurance even, and what I mean by that is, for example my car insurance is due every January and sadly this falls at pretty much exactly the same day, I thought I was being super organised one year. I realised the mistake afterwards because on the same day in January, just after Christmas (thanks) and New Year, my tax, my MOT and my insurance were all due. And if I need any repairs on the car, that’s also due. And my birthday is in January as well so it’s like ‘Happy Birthday to me’ ha ha! I’ll by myself a new tyre; it’s pretty miserable. Now a couple of years back, I wasn’t able to pay my annual insurance in one go, it’s a lot of money insurance costs have gone up in the UK, particularly for women due to ages and legislation. Paying monthly is usually an option but paying monthly adds up to much, much more in the long run. PW: Yeah, and we would both say that it’s better to pay monthly than to get yourself into financial difficulty, trying to pay all in one go. LH: Every time, every time, however its worth keeping an eye on these things, don’t set up a direct debit and then just go ‘ah okay, I guess I’ll have to pay £300 more over the course of a year.’ Keep your peepers on it, stick it in your Google calendar, and keep an eye on your bank account because many companies will actually let you pay off the rest of the annual sum even when you’ve paid your monthly fees for a while, say 3 months, 6 months. So, what I did with my car insurance, it was a few months in, I phoned the insurance company, they had a look at what I’d already paid and what that added up, they subtracted that from the annual fee, and I just paid the rest of it. So I got to benefit from the annual cost after all. LH: Which is brilliant, I didn’t have to fork out more than I could at the start of the year, didn’t have to go for a loan, all it takes is a bit of organisation and a bit of activity on your part, and it can save you hundreds. PW: Yeah and in terms of buying in bulk – back to printer cartridges – often there might be a kind of 3 for 2 type offer on and given that buying one set of ink, when you’re buying black and magenta and yellow, it can really add up and you think ‘oh I can’t double that’ you know, that’s just a ridiculous amount of money but, if you’re in a position where you can, then you get an awful lot more ink for your money. Last time I bought printer ink, this is what I did. I went for this online store, which had a 3-for-2 offer on all of their printer ink. It was a big outlay, we’re talking £80 or something, in one go on printer ink. But for a third more than I would of got for the same amount of money if I hadn’t taken up the offer, I literally have piles of printer ink, but its going to last me a long time so if you’re in a position where you can pay more to start with in order to pay less in the long term, then it’s a good thing to do. LH: It’s so worth it, one thing I would say is to make sure you keep track of what you’ve bought, because if you put something away in the cupboard and then you think ‘Damn, I’ve ran out of printer ink’ and you’ve got this whole little store – my husband does it all the time. Another way you can save money is by buying things second hand, now some people don’t like doing this – I think I was a bit of a snob at first, when I was younger I wanted to be super cool, I didn’t like anything second hand. Things like books – books are brilliant second hand! I buy so many novels, I buy so many books, so many novels – non-fiction as well, I buy all second hand and I do shop at Amazon, I’m sorry, I do. PW: It’s no secret that I am a massive fan of charity shopping. People get to recycle things, charities benefit and I get cheap stuff. So it’s brilliant. I’m looking now at my work bookshelf, which is by my desk, and I’d say 80% of these books came from charity shops. PW: I am. I’ve got all sorts of books about marketing, we’re not just talking about the classics; people imagine charity shops to be mainly full of Charles Dickens. I’ve got tons of books about marketing, tons of books about freelancing, books about language. I was able to give LH a copy of this brilliant book called ‘The Handbook of Nonsense’ – its writing. I bought it in a charity shop then realised I already had it. To buy a book in a charity shop you’re probably paying between 50p and £2 and you still put those receipts through the books as you would anything else. But, you’re paying £1 for something rather than £10/£15, you can’t argue with that. LH: No you really can’t. I get a bit sentimental I don’t like the idea of sad old books being abandoned. PW: I know. I’m the same. LH: Once you’ve read a book, once you’ve read a book once, the spine is creased, the pages are a little bit worn – it’s not the same. There’s nothing more exciting than a shiny new book, don’t get me wrong, they are really exciting but, they are only brand new till you open them. PW: When I’m finished with a book and I know I’m not going to read it again, I can’t imagine throwing it away. I sell the odd book on Amazon if it’s a bit rare or something. But, they mainly go to charity shops, and I’m glad to have that resource to mean I don’t have to be wasteful. I’m glad to help them out in a way that helps me out as well. Once you get me talking on charity shopping, we may never end. I will include in the show notes a photo of my workbooks and you’ll see there are some awesome books here, most of which cost me less than £2. LH: Yeah, I very, very, rarely buy new books, occasionally – usually around Christmas, if I have a bit of spending money I’ll go and buy the brand new books from Amazon that I want. But most of my books are pre-loved and they are just bloody lovely. PW: I like them when they’ve got creases and there a bit yellow, it gives them character. LH: I do, I like them. I’d never hear a word against my books. They’re all creased, and I adore them and I don’t care. I buy pre-loved books from Amazon because you can get them for 99p. There’s no shame in it at all. Do shop around and see if you can buy even good quality ones, because they have like excellent, new quality, as new, nearly new. Even acceptable is fine by me, you’ll pay a lot less, so if you need reference books or if you need novels or anything really, have a look! PW: What I was just thinking about actually was back to Amazon, and selling your books, that is an option. I’ve got the Amazon app on my android phone and what it’s really good for is, if you scan the bar code of your book, the page for that book immediately comes up. If you have a look then, at what people are selling their copies for. If you have 200 people selling it for 1p then don’t bother. You know, it’s going to the charity shop, then that’s that. Even if you put it up for 1p, why would someone buy yours over someone else’s? But if the lowest price that someone is selling it for say £2.50, £6.50 or £15, it’s worth listing it and selling it yourself. I got rid of quite a few books recently and I did bar code scan a lot of them, it takes seconds and I could just instantly sell whether it was worth listing them on Amazon. I’ve sold a few, and what I tend to do is I just go about 5p lower than the lowest price. Someone else may then list one lower than yours but you’re there and it’s an option and if you can get £6 back after paying £6 for a book then that’s brilliant. LH: Absolutely. If you have a number of books by the same author or a number of books on the same topic, package them up as a batch. That works. There are all sorts of ways to scrape a little bit of money back and it all does add up. Now another way to reduce your costs, if you know fellow freelancers or indeed not fellow freelancers because there is sometimes a business personal overlap and you have big expenditures coming up, see if somebody you know wants to split the costs. PW: I like that idea. LH: Well items like printer paper can take up a lot of space in your home, now if you don’t have the space or indeed you don’t have the money to go and buy say five boxes of printer paper, why not see if there’s a fellow freelancer who can split the costs with you? PW: Yeah, I think that’s a really good idea because you’re more able then to take advantage of offers like buy 2 get 1 free or whatever’s going on without ending up with 18 boxes of printer paper stacked in your living room. LH: No its brilliant and this kind of freelance buddy system can really help you out when you want to travel to events. So if you find yourself going to the same places as another freelancer and one of you or both of you have a car then why not share the travel, because Petrol costs split between two, and you do have to pay petrol costs when someone gives you a lift, that’s a rule. It may well come to less than trains and taxis for example. PW: And also there are other options like; I have a disabled person’s railcard and what that entitles me to is a third of train journeys but it also entitles somebody travelling with me to a third of train journeys. So if I was travelling to an event on a train along with someone else, if we thought about it, we could get them a third of their fare as well as me. That can make a big difference. LH: Things like student cards. PW: Exactly. Always look to see whether there are things like that, before you book. For instance, before you book a train if you’re travelling with someone say, ‘do you have any discount, railcards or do you have anything relevant?’ because you might be surprised of the things you don’t think of. LH: Absolutely, and people generally don’t mind sharing – don’t ask a complete stranger obviously – if you spot somebody using a wheelchair don’t you know. But no, I have a good friend whose little sister has a student card and when we go shopping together, we give her the money and she buys things. PW: Yes, yes. The people serving are often just in their own little world and don’t really care. LH: And they know you do it anyway. PW: Well quite, you see people in queues pooling cash and you see people handing size eighteen clothes to a girl who’s size six, you know everybody knows it’s done. Another thing worth doing that I discovered recently is that a local coffee shop offers a 10% discount card to local businesses. I asked what qualified as a local business and they said, oh just anyone really in the area who has a small business or works. There’s a big building nearby that’s houses a lot of charity organisations, he was very laidback just like ‘oh well you know if you run a business you can have one, if you work for any of the independent businesses nearby you can have one’ so I said ‘oh I’m a freelancer and I work nearby’ and he said ‘oh right’ and gave me a 10% discount card. Just because I saw them and asked and if you don’t ask you don’t get frankly. LH: Another thing that’s a very good idea to do is to keep an eye out in shops to see whether there are money off options available for signing over your contact details. You have to be very careful, and I would certainly not advocate store credit cards. PW: Never. They tend to be a very bad deal. LH: They really do, I’ve never had one and I would suggest seriously that people don’t have them. So if someone says would you like to save 10% today, always say to them, what does it involve? PW: I have ended up getting them before and there messy and their percentage interest rate is pretty high. LH: There really terrible think about it, why would you want to bank with a clothes shop. There not finance experts there not a good idea but, when you go into some shops you can sign over your email address and your name in return for discounts. Now what this does mean is they’ll probably send you a load of spam but, if you use a Gmail account, this is something I mentioned in previous solo episode, you can set up filters to make sure that any spam never even hits your inbox. PW: Or you can just have an entirely separate email address that you just use for spam and never even open. Now when you’re looking at finances for your business, something that’s really important is thinking about tax. Now you might start yawning at this stage but if you don’t keep receipts, invoices and records then you can’t put business expenditures through the books. That means that you will pay tax on money that you’re entitled to not pay tax on. Now, neither LH nor I are advocates of any kind of tax avoidance. I’m a big supporter of tax and that fireman’s wages are paid however, if you’re entitled to not pay tax on business expenditure then you’re entitled to not pay tax on business expenditure. So keep every receipt, I keep essentially doubles because I scan every receipt and also keep the paper copy in a file. Once you have the receipt and it’s logged in your spread sheets, your profit and loss sheets, then that money is then tax deductible which leaves you then with a small tax bill at the end of the year. LH: Its fab, and I think you’re far more organised than me because I tend to not keep the paper copies but what I do is, as soon as I get a receipt for something that I know is tax deductible, and usually after a while you get to learn what is and what isn’t, but if you’re unsure keep it in your handbag and have a look later. What I do is, I just take a nice clear picture of the receipt on my phone as soon as I get it, if it’s a paper receipt, obviously if it’s online I just email it to myself, but if I get a paper receipt I put it on a white background or a black background, lay it out flat and take a picture of it on my mobile phone. Once a month when I’m getting ready to do my accounts and what have you and send things off to the accountant, I download them off my phone to my email and I just forward them to my accountant. Now what this means is that combined with an overview of your bank account, you can claim tax back on all of those items when you do your end of year account and with VAT at the moment at 20% in the UK, that’s really big savings, that’s a fifth of the cost. Even just train tickets, bus tickets, café receipts, keep them all because they add up. PW: If you’re not sure about whether you can put something through the books or not, first of all, you don’t want to mess around with tax. You don’t want to put things through the books that you’re not entitled to because if you start being investigated it can get really messy, and you certainly don’t want to be charged with tax fraud. So if you do your own accounting but there’s something you’re unsure about, check out the Directgov website, I will put a link in the show notes, which has quite a lot of helpful information actually. Or a lot of accountants offer a free hour for instance, for a new client so if you use somebody’s free hour and ask them ‘can I use this, this and this?’ because it can be really worth it, you can save some cash in the long run and also you can be confident that you’re not going to get into trouble. LH: Absolutely. Going back to one of the recommendations you made earlier, go on Quora for example, if you’ve got questions but you don’t feel comfortable actually going to an accountant, have a look online. Make sure you’re getting reputable advice, be really, really careful that whoever’s answering your question is reputable and they know what they’re talking about. But if it’s just something like looking for novels when I do literary editing, then you know something like that is easy to answer. PW: And specify the country you’re in because it will vary. LH: Oh yes, good point. Another way and we’re going to sound like your parents when we say this but another way to save money is to avoid wasting energy. Moving on from that, its sort of a joint thing, wasting food. Now, as we say we’re freelance writers so technically food isn’t a business expense but, when you work from home, when you work for yourself, its easier to save food and to not waste food, you can have your leftovers for lunch, you can use up food more easily, you can grab cheap deals at the supermarket if you nip there during the day or first thing on the morning. LH: They’ve got your face on a poster. PW: Yes, wanted Jane Austen book back, last seen with this woman. I think everyone can relate to sometimes seeing an envelope coming through the door and thinking that’s a bill, and just ignoring it for a while. I think even if not everybody does it, most people can probably see the temptation of it. But, you do know on a rational level that it not only doesn’t help, it will make things worse if you stick your head in the sand over financial issues. LH: You never forget them do you, there always there, it’s like having a maggot at the back of your brain, it’s always, always there, and you won’t sleep well worrying about things. LH: True, I got a cheque for like £600 the other day; I was like oh, that was better than what I thought it was going to be. PW: Yeah and also sometimes with freelancers if you’re not getting enough work over a period of time, I’ve known freelancers be a bit head in the sand then as well. Think it’s fine, it’s fine, it’s fine and before they know it their income is dropping to quite bad levels because they don’t want to address the fact their business is in a bit of trouble. LH: Yeah and it’s not fine, you know you need to make sure you keep an eye on things regularly. So bills that come in, levels of work, mobile phone costs, bank accounts, unexpected letters. As we said, sometimes stress can win out and you can want to hide away from it all, and it’s a surprisingly common feeling just as we’ve said that starting out with some financial trouble as you’re starting out with freelancing, is surprisingly common. Being stressed and afraid of facing things is surprisingly common, we all, all do it. PW: Something I learnt as a student, when I was a very typical student with no money is we get in a shared house say a gas bill, that we knew we couldn’t pay, if you ring them up straight away, basically they want to get their money and if that means getting it in weekly payments of £2, they would rather that than not get their money. And so for that reason, often, even if you know you can’t make a payment, ring them, because what they want is for you to eventually make the payment, and if you can agree a repayment plan of £5 a week, then they will go with that because they would rather have £5 a week than nothing at all. Go to the citizen’s advice bureau, you can sign a piece of paper authorizing them to speak on your behalf and they will make these calls for you if you’re too scared to, or too anxious. LH: Yeah and there’s no shame, just get it sorted honestly, really, really, just do. When you know about something you can deal with it, it might not be something quite so scary, it might just be that you’re using say 700 minutes a month on your mobile phone but your contract only covers 500 minutes. Many, many, providers will charge you extortionate fees, really high fees for every minute that you go over, so its sensible to have a look at and if needs be change your monthly contract to a couple of pounds more each month for something that will save you huge savings overall. On a related note, if you do find that you’re going over on your mobile phone contract but you can’t afford a higher monthly fee or even if you can for that matter, consider free apps like ‘WhatsApp’ you can send free texts anywhere in the world, no roaming charges, no nothing to any phones. You’ve also got online things like ‘Skype’ – which is what we used for this podcast – for long distant calls or just long calls. PW: Absolutely, its always worth looking at the options, especially online options like ‘Skype’ you know, if you have customers/clients all over the world, I couldn’t be making international phone calls to chat to them but on Skype its free. LH: Of course it is and you can have conference calls and what have you, it’s well worth it because it’s exactly the same. PW: Also Google hangouts are getting more and more used in these situations and they are very, very good. So now we’re going to look at false economies that might arise in your freelance business. Now according to good old Wikipedia, a false economy is an action that saves money at the beginning but which over a longer period of time results in more money being spent or wasted, than being saved. It goes on to give an example of the city government that decides to purchase the least expensive cars for use by city workers. Now that might be seen as false economy because the cheap cars have a record of using more frequent repairs in the long term and the additional repair costs would eradicate any additional savings. Other examples in freelancing might be getting a really cheap laptop for instance and quickly finding out that when it’s switched on for 10 hours a day and it needs several programmes to be running at once it just can’t cope so you end up having to buy another laptop anyway. LH: There are times when unfortunately false economies do seem like a bit of a necessity. If you don’t have the money in the bank for an expensive laptop or a more expensive laptop, then a cheap laptop will have to do. There’s no avoiding that and that’s fine, you know, we were chatting a few episodes back and the first half of it was about not beating yourself up if you can’t afford something at first, if you can’t afford to take advantage of multi buy deals or money off deals, say if you buy 2 for 3 or 3 for 2. PW: You don’t want 2 for 3 that’s a really bad deal. PW: Yeah definitely, you sometimes just have to apply a bit of creative thinking and don’t forget to look long term when you’re making purchases both large and small. LH: Yeah I think that’s a sensible thing, look long term, have a look at what you’ve got in your account now, don’t spend loads and loads of money because its going to be cheaper in the long term if it’s going to bankrupt you in the short term. That’s one thing that does need to be said but, if you buy something and there are 6 monthly payments and they add up to much, much, more than one whole one-off payment then you’re going to end up spending that money anyway, so if you have that money available and you have the disposable income, its worth thinking about, its worth making that expense. PW: One example in my working life is that I have to buy magazines to research because if you’re going to pitch to a magazine you really need to have a good understanding of the kind of material they publish, what they’ve written about recently because you don’t want to pitch the story that was there front page last time because first of all they won’t want it and secondly that just tells them that you don’t even read the magazine you’re pitching to. So I have to say I buy magazines quite often, at the beginning of this year I identified a few particular magazines that I wanted to be published in by the end of the year as a goal setting exercise. So what I did with those magazines was then take out a subscription because to buy it in WHSmith might cost me £5 whereas if I buy a 12 months subscription often each issue would cost me £2.50 so if you need magazines and you know which ones you want then taking out a subscription can save you a considerable amount of money. LH: Absolutely. I mean for a saving of £2.50 per magazine it’s well worthwhile. PW: Yeah and like many of the costs we’ve referred to in this topic it’s not all a matter of saving £800 here and £350 there. 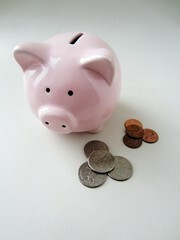 Often it is these small savings that add up. LH: It definitely is, you know its quite the same as we were saying in episode 48 about saving receipts for bus tickets, coffees and little books that you buy in charity shops, they might only be little savings, that’ll be for us 20% of say £3. So not huge savings at all but in the long term, well worth it, and it’s the same in many false economies. Now one of the false economies, I think it would be good to look at it is doing things yourself when it would actually cost less to get someone else to do it. Now it can be a bit of an uncomfortable situation for many freelancers because when we start out I think it’s fair to say that many of us don’t have much money to play around with. PW: Yeah I would imagine that’s very much the case. PW: We do our own marketing, we do our own accounting, we do our own networking, we do our own everything its all about bootstrapping when you start out and that’s good actually because it means you learn those skills because if you go onto passing something on to someone else its good if you already know how it works. LH: Very much and I think it builds a certain sense of self-reliance and confidence as well when you have to master already mysterious tasks, that you didn’t know how to do or otherwise didn’t want to do. It’s a good exercise. You know, me having to do my tax return, I hated it. I hated having to do it but it was an achievement when I’d done it. LH: And having a sense of achievement when you’ve got your own business, that can really boast you and let you know that actually this is my business, I do own my business and it’s a confidence thing, that’s what I’m trying to say. PW: Yeah definitely, I agree. LH: But there comes a time in many freelancers lives I would say when its silly to keep on work that someone else could do for less. Now it’s probably not everybody’s view, it’s just my view, if you don’t agree that’s completely fine – you’re wrong, but you know, that’s fine. At busy times in my working life there are certain tasks that I’ll pass over to a virtual assistant. Now a virtual assistant is very much like a P.A – a personal assistant but virtual, so you’ve got people working as virtual assistants, they’re online they’re not there in your office but they’ll take on the same kind of administrative, sometimes finance, sometimes transcription, research tasks that a personal assistant would be able to take on for you. Now the tasks that I tend to pass over, tend to be fiddly, time consuming tasks like data collation, excel files of data, transcription, admin, marketing, business development, cold course and things like that. So while outsourcing certain tasks can take some getting used to, you do need to ask what your time’s worth, genuinely, because it can be really hard, as we’ve just said to pass over tasks that you’ve been so used to doing for yourself. You do everything for yourself and then suddenly one job is out of your control. PW: And if you’re anything like me and a bit of a control freak that can be weird to adapt to, it can be difficult, you can find that you’re one of those awful micro managers for a while. LH: Not that you are, I don’t think you are. PW: I try not to be, I do try and reign in my anxieties and just trust the other person to do what their doing. LH: Yeah, if you’ve been used to doing everything yourself it can be a bit scary to hand some things over. But, and it’s a big but, if your hourly rate is £20 an hour and you’re absolutely rushed off your feet and you can pay a virtual assistant £12 an hour to do a job for you, it’s a reasonable rate. That to me is a reasonable wage. You might find that it’s worth your while. Now if you haven’t worked out what your hourly fee is yet, Philippa did a really good solo episode on how to work that out and how to work out what hourly fees you need, so we’ll link you to that in the show notes and make sure you have a listen to that. Once you know what your billable time is worth you can decide more easily whether its worth you handing work over to a V.A or somebody else depending on what you need doing and how much time it would take you to do the work yourself and how much it would actually cost you in your billable time. PW: Yeah, I’ve only used a V.A once myself and I was doing a quite wide ranging marketing plan, I got to a stage of it that was really repetitive, really tedious where I was making a spread sheet of companies to approach. I had particular perimeters that were very important. I was also quite busy at the time and I realised it wasn’t a good use of my time. So I hired a V.A basically and just said this is the information I need, I need UK companies in this sector and the information I need is their name, address, their work address, do they have a blog, how many blog posts have they published in the last month, the name of the contact person and that persons contact details. I basically needed all that information for every website in that sector that this woman could find. So I then hired her for four hours and just left her to it and just said find as many as you can in 4 hours and fill out the spread sheet, and so she did. She came back to me the next day with a bursting spread sheet that served me for months, I had months worth of prospects there all with the information I needed on how to approach them or whether to approach them at all. In that case I was looking at blogging opportunities, so if they had a blog that was already updated 6 times a month then they weren’t worth approaching for me for that particular marketing campaign I was doing. It saved me doing it myself when it was quite boring but more importantly because you do have to do some tasks that are quite boring you can’t avoid them altogether, more importantly it freed me up to do the actual writing that I needed to be doing, while I paid someone else, I would totally do it again in that situation. LH: This is it, you know, not speculating about what your hourly fee would be but, when it’s a V.A’s job, it’s a V.A’s job to do something like this, its what V.A’s do that’s why people are virtual assistants. This is the kind of administrative work they’ve chosen to do; now the rate for that tends to be lower than the rate for copyrighting or SEO marketing, that kind of stuff. So, if Philippa was going to spend 4 hours or 6 hours maybe, because it’s not her area of expertise and she’s not quite as fast as a V.A would be then that’s 6 times Philippa’s hourly rate. It’s not worth Philippa doing it herself if she’s got other things to be getting on with and it might take somebody 4 hours to do it. PW: Yeah that’s it and the woman I hired was in America so I deliberately wanted to avoid those super low wages because I don’t want to be part of that really, I don’t want to encourage it by hiring someone myself for those wages. It was a woman in America who offered what was simultaneously a good amount for herself but also further enough down from my own hourly rate in general that I wasn’t losing money and that it would actually benefit me to have someone else do that task. LH: Absolutely and you know, it is important the point you’ve just made that you need to make sure the time you free up by outsourcing you need to maximise that. There’s no point paying somebody to do a job for you and sitting around for hours on the internet doing a bit of tweeting, I mean if you have spare money and that’s what you want to spend it on, by all means… Genuinely, no sarcasm, if you need a break, if you need some time, if you’ve been up to your eyeballs in work and you need an afternoon off and your afternoon consists of admin tasks, finance tasks and some tax stuff. If you have a trusted V.A or if you know somebody who could do a really good job on that and you think okay, well I’m going to take the afternoon off, I’m not going to do any work but, it’s worthwhile for me to do this, then go ahead. As we said before you are your business. PW: There are an increasing number of people, marketers mainly I think, and online businesses who actually take a V.A on long term; they may even be full time or 8 hours a week for instance. Now, that’s something that I certainly wouldn’t have a need for at this stage. I can imagine most of you wouldn’t have a need for but it’s also possible, as I did, to hire someone for 4 hours or for 8 hours as a one off. So, when you’re looking for a V.A, don’t be put off if everything you’re seeing is people bidding for long term contracts because you don’t have to. It’s up to each individual V.A some are happy to do one off work others avoid it, which is the same as writers and anything else. But, what I’m trying to say is there are a multitude of options in how you hire a V.A, where they live, how much you pay them, the work they do and that’s all just worked out by negotiating with them. LH: Yeah, you have to find somebody who’s happy to work with you in the way that you want them to work. You know, because it’s about 2 people not just one person, just as you expect your clients when you arrive, you expect your clients to treat you with respect and to ensure that your needs are being met. You have to do the same when you become the client of a V.A. PW: Oh, definitely. Like when I was dealing with this woman I wouldn’t of dreamt of just saying do this, this and this. You say this is what I’m looking for, is this the kind of thing you can do? Would you be happy doing this as well? She said yes to everything, I wasn’t making any unreasonable requests but it felt more of an equal power relationship. Just like I try to manage with my own clients as well. LH: Absolutely. I hire freelancers very regularly. Now, I am one of those freelancers who hire other freelancers – virtual assistants and others, on a very regular basis. PW: Yeah you’ve got writers, proof readers and all sorts haven’t you? LH: Yeah I’ve got a whole little Noah’s ark of freelancers. I have people whom I hire weekly, for a good number of hours, per week. It can be seen as a part time job for those people, though it’s still freelancing. I have a number of people who I have had once. I have a number of people who I have maybe twice, three times. It all depends on what I need, if they’re happy to work and how well they do with the jobs. If someone doesn’t do particularly well I won’t hire them again, of course! Things like transcription, I’ll need it occasionally. Now transcription, normally I do it myself but, when the work piles up, it’s a long and something task, if you don’t have transcription software for example. So when it gets to a busy, busy, week I’ll get a transcriptionist on but it’s not something I need every day, every 2 days, whatever. PW: And that is one of the joys of outsourcing – is that you don’t have to employ somebody with a contract for 12 hours a week work. LH: Yeah, exactly. There’s no contract per say. Now with my regular freelancers I have put contracts in place. They’re more agreements though they don’t oblige anybody to work for anybody else, for a certain amount of time. PW: That’s it and that’s what I’m talking about, kind of formal employment contracts. You’re not becoming an employer. LH: No, I’m their client. I’m not their employer at all, in any way, shape or form. PW: And that frees you up to be more flexible. LH: Absolutely but at the same time, as you said earlier, I’m respectful to them and I understand that they need to know what’s going on. They need to have a clear idea so that their needs can be met and they can plan their work. I wouldn’t be very happy if I had a client who disappeared off the radar and then popped back up and suddenly said right I need X, Y, Z and I need it now. When I get in touch with my freelancers its like ‘Hi, how are you?’ if I’ve not dealt with them for a while its ‘hope everything’s going well, wondered if you had any availability for this task, my deadline would be this and I would need this doing, is that okay with you? If not can you let me know, no problem!’ And that’s what you do; you check somebody’s availability and it saves me a lot of time. I wouldn’t be able to deliver all this work that I deliver without the help of other freelancers and that’s just the way I’ve built up my business model. PW: You can get a bit lazy. You can hire a virtual assistant for a particular task and it goes really well then you think, well actually, I also hate doing X, Y and Z. I’ll rehire her for that but, you’re not replacing that time with actual work on your part. So you could look at it as earning less per hour, say, like I think LH’s example was if a writer earns £20 an hour and pays their V.A £12 an hour, then you could look at that as working for £8 an hour which you might be able to live with, knowing that this extra work is being done. However, if you’re just hiring someone for £12 an hour but bringing nothing in as a result then it starts being a cost that isn’t justified. LH: Absolutely and you know, if you’re consistently too busy to take on a task then that’s fine, that’s completely fine. It’s all fine but, as were talking about saving money that’s the type we’re focusing on. So if you’re consistently too busy to do a piece of work then it’s fine to have a regular freelancer to do that for you. But, if you’re not, I would suggest being really careful with just outsourcing stuff ‘willy-nilly’ as you feel like it. As Philippa and I have mentioned in many previous episodes, freelance writing isn’t just writing. 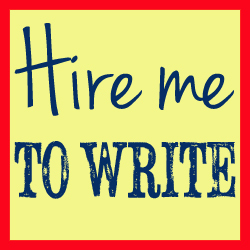 If you think oh, I like writing I can be a freelance writer. Wrong. Honestly, wrong. I’ve seen so many people get into freelance writing then get out again and very, very, quickly. They realise that the writing is only quite a small part of it. Having a freelance writing business is marketing, its business development, its admin, its finance, its customer care, its project management, its research, its networking, its writing, its all of those things and the writing comes finally, at the end, when you’ve got your business set up and you’ve worked out where in your week the writing’s going to happen. All of those things need to happen and you’ll do them all. Now there are always going to be some tasks on that list or on your own particular list, they will vary, that you’re not super keen on, usually tax, everyone hates tax. You could hate these tasks until the cows come home but think very, very, carefully about outsourcing them if you’re looking to save money. PW: Similarly, there might be, say a regular writing job that is good and consistent and pays your bills but that you really hate doing for some reason. It might just be a topic that you have no interest in or it could be any number of things. If you’re going to outsource some writing work of your own assignment, it might make sense, if you’re super busy, to outsource that one that you always hate. The trick is that when you’re less busy, tempting though it is to carry on outsourcing it because you hate doing it, you do have to take it back yourself – if your goal is saving money! Just get back into the saddle of whatever it is that bores you to tears and write it yourself again. LH: This is the thing, because outsourcing should be, I’m not going to say your final option you shouldn’t wait till you’re run ragged and exhausted and at the end of your tether before you outsource, its not worth getting to that point. But, you should think very, very, carefully about outsourcing before you do it because often, with just a bit of time-management, a bit of a re-jig, a few late nights and early mornings – these aren’t going to kill you! If you just do a few late nights at work, say maybe work till 7 one night or start at 8am in the morning or even 7am in the morning you can win back time in any week, of course you can. An extra hour as we all well know can be a complete lifesaver in the life of a freelancer. If you need to ban yourself from social media for a day, 2 days, 3 days to resist the urge to get tweeting or check someone’s Facebook, do it. If you need to use a website blocker, I mean we’ve discussed these before and I’ll post a link to an article in the show notes. PW: Yeah I use this occasionally; I’ve got one that’s a Chrome add-on, which I’ll also link you to. I can just pick particular sites, which tend for me to be things like Gmail and Facebook. I then put a time in and I don’t want to be able to access these for sixty minutes for instance. The fact that you set it up yourself means that you can break it down yourself but, it does actually help with the mindless checking of those sites that you don’t even realise you’re doing. If you want to go into the back end of the software and re-allow yourself permission, you can do that. I never do, even though I know I can. What it does protect me from is those thoughtless, switches to Gmail. It’s only off for an hour so I’m not going to miss anything massive but it’s handy. LH: It’s super handy. I think there are certain website blockers where you can’t deactivate it once it’s started. PW: To be honest, if you know what you’re doing, you can. But, some make it a lot harder than others. LH: Right, okay. See you’re ‘techy’ I’m not. So for me, it’d be like Alcatraz, there’d be no getting out, at all. PW: There’s one that’s supposed to be quite difficult to find your way out of and what that does, rather than the one I use, I just set it going now and it blocks it from now but there’s another one that’s very popular that limits your time on a site to something like sixty minutes, a day. You set it up in advance that you don’t want to be allowed on Facebook for more than thirty minutes every day. You don’t want to be on Twitter for more than thirty minutes a day, you don’t want to be on YouTube for whatever your own personal places that you go to procrastinate. I’ll try and find a link to that one as well. LH: No that’s a nice take on it actually, that’s slightly creative isn’t it. PW: It’s kind of an overall philosophy isn’t it? So that in general, I know I waste time on Facebook and I can’t justify any more than an hour a day or half an hour a day or whatever it is. LH: No you’re completely right and they sound fab. Same goes for productivity towards sort of like, stay focused and focus booster, all that kind of stuff. You set a timer and you work to that timer and then you take a break. All these kinds of things can help you win time when the temptation is there to go ‘oh I’m too busy I need to outsource this’ when you really can’t afford to. As we said earlier, if you find yourself super, super, stretched every single week with a particular task, then yes, it’s probably worth outsourcing that, if you can afford to. PW: If you can’t afford to when you’re overworked every week it may be time to look at your pricing structures. PW: Which automatically reduces your workload. LH: It does. Or you can get clients who are already on your books to pay you more which will facilitate you higher in freelancers help you out. So either way it’s a win, win. But yes, if you find that you’re wasting time but that you’re still tempted to hire a freelancer and you’re wanting to save money, think carefully and have a look at productivity tools and website blockers and time management training as well. If you can take maybe one of your weekend days and do a little course on managing your time better and managing your projects better or if you can have a look for software that helps you streamline certain tasks that you do, maybe you’re taking the long way round on a task that shouldn’t really take you more than 5-10 minutes. There are always ways and ways and ways to try and snip a little bit more time out and if you can save just fifteen minutes here and there that quickly adds up because with just four fifteen minute slots over the course of a morning, you’ve got an extra hour. You could equate that either to your hourly rate and you could say well I’ve just got this extra hour to be doing this billable work. Or you could equate it to the money you would of spent on a freelancer, well I’ve just saved X amount of money. PW: Indeed. So we hope that some of those ideas will help you to save a few pennies or cents, depending on where you live, in your business to help you become more profitable and just live a bit more comfortably. We do understand that especially for freelance start-ups it can be a bit overwhelming at times and so there sort of the ideas we’ve had in mind basically, just things to try, you might think you can’t possibly do without something, cups of tea but it might be fine. LH: That actually reminds me if you do buy a cup of coffee every day from Starbucks or Costa or Nero, or your coffee company of choice, maybe add up what that costs you, if you’re talking £3 for a cup of coffee, five times a week, £15 a week, £60 a month – a lot of money every year. So thank you Philippa for reminding me of that. But, basically we wanted to share tips that would help you save money without having to compromise too far into your equality of life. Because remember as a freelancer your job and your life are slightly more interwoven than they would be if you had a salaried position that you could leave at the office. PW: Yeah definitely, and we’re also not saying that you can’t ever have any fun or spend any money. One of the joys of being a professional writer is that you can buy pretty stationery from Paperchase and it can be put through the books, because you’re a writer, you therefore need pretty pens and beautiful notebooks – it’s just part of the job. So don’t you know, never give yourself a treat, just be careful and use some of the techniques we’ve mentioned in order to give yourself more treats really. LH: Well this is exactly it. This is the point I was going to make, is that by saving you can stop spending money on things that you don’t have to like bank charges, overdue library book charges and paying tax that you don’t have to. These aren’t treats, these aren’t little treats that you’re going to be depriving yourself of, and these are things that you’re throwing money away on. There’s no point paying extra money when you don’t have to, especially if you’re not getting anything for that money. You can save your pounds, your dollars and really afford yourselves something lovely, maybe a holiday, maybe a new car eventually, maybe some Christmas presents for the kids, whatever you want to spend your money on. Don’t spend it on pointless things that you don’t even notice. Library book charges, there not anything good, paying for a bank account that you don’t need to, spending extra on your mobile phone contract, none of these things are fun, so don’t get stung and pay more than you have to. PW: Absolutely. And now it is time for our little bird recommendation of the week in which Lorrie and I pick something to share with you that we think some of our listeners might like, now this might be a web press plug in, a blog post, a twitter account or a website, or anything else indeed. And so Lorrie, what is your recommendation this week. PW: Oh, of course. Who wouldn’t enjoy a bit less stress? LH: Well, I think some people thrive on it, but in the end it’s not very helpful for you. PW: It’s very easy to burn out, isn’t it? LH: It is, and I don’t know about you Philippa but I imagine it’s the same for a lot of us, the more stressed I am the more mistakes I make. LH: so again, false economy, working your fingers to the bone and staying up late for seven days in a row, and getting up early and working, working, working causes the quality of your work to go down. You need to take care of yourself because as we said throughout these episodes, there’s a cross-over. You and your business are one and the same, and if you’re not healthy and you’re not happy and your mind is full of stress and tangled wool, then your work is likely to resemble that, and that’s no good thing. You will end up not having happy times, and if past clients disappear then so does the money they bring in. PW: Definitely, there’s not much more, you can’t argue with that really. LH: I thought that was pretty water tight, and this is how it is. Well it is, so don’t stress yourself, I’ve sorted it for you. So what I like about this article is that its just a small, little tiny weenie blog post and it’s the sort of thing you can read if you’ve got two minutes to spare so don’t flop over to Facebook and do some mindless checking of someone’s Facebook page and don’t go onto Twitter, read this instead. Its five small problems that freelancers worry about and it says ‘Do you fell stressed out and overwhelmed by freelancing problems? It’s possible you’re worrying too much about the small stuff and it’s that saying, don’t sweat the small stuff. It says, give yourself a break and reduce worries. Here are some common occurrences that you should cross-off your worry list right away’. And I agree with them, and its stuff that we’ve said previously. Number 1 is the ‘lost’ prospect. Now the author and it’s by Laura Spencer and she’s a freelance writer from Texas. Philippa: Oh, I follow her on Twitter, she’s lovely. LH: She said, ‘I used to really stress when a perspective client didn’t agree to do business with me. I felt that by losing the deal I might have done something wrong, now I realise that some prospects will never become my clients. It doesn’t necessarily mean that I did something wrong, freelancers shouldn’t waste a lot of time and energy when there trying their best but still can’t close the deal. And she’s right, you can’t win every client in the world, you can’t, it’s not possible. Even if you could, you couldn’t cope with all the clients in the world. Some clients will just not hire you, it might be a personality thing, it may be a timing thing. Somebody better suited to their needs might have cropped up on their horizon, whatever it is. Philippa: Yeah, pricing. You don’t get every contract you go for. It’s just how it works. LH: It reminds me of people who go on quiz shows where there are large money prizes. As much as you might want that $20,000, as much as you want that £1,000,000, that money is not yours. It’s not yours, just the same as a prospect it not a client. Don’t get too attached to a prospect, it can be exciting when a prospect gets in touch and you can think ‘oh I really, really, really want this job’, we all do it. But when a prospect doesn’t decide to work with you, you haven’t lost anything. Don’t let yourself, try not to let yourself feel like you’ve lost something, you’ve let something go and it’s slipped between your fingers. They were never your client. Philippa: And sometimes it is really difficult, if it’s a job you really wanted. If you’ve done a proposal that you thought was really spot on, if it was totally in your area and you think it would have been the perfect job, then sometimes it can be really disheartening to have put all that work in and to have had some great ideas and to not get the work. Other times, of course you’re not too bothered, you’re busy already, it was a random one off article that didn’t mean very much too you, then you might let that flow over you. But what you have to learn is how to let the harder ones flow over you as well. LH: Yep, absolutely just let them go. They weren’t your clients and you know be quite realistic about it, as long as you’re sure that your proposals are up to scratch, there’s no harm in periodically checking how you to propose to a client. If you think your proposals are fine and they’ve worked before and they’ve worked with you for a large number of prospects, let them go. Let the ones that don’t want you go, because there’s nothing you can do anyway. Even if you have messed it up, even if you send over a proposal with a mistake in it, there is nothing you can do. There is nothing you can do, they’re not your client, they were a prospect, they are no longer – move on, learn from it if there is anything to learn from it otherwise dust your hands off and carry on. The second one feeds into what we were saying a couple of weeks back about unkind comments. Now Philippa and I recorded a podcast recently about how to deal with criticism and it can really knock your confidence, it can make you feel like the smallest person in the world. If somebody criticizes you or somebody says something unkind about work, especially work you’ve worked hard on, again, it doesn’t mean anything. It doesn’t mean anything at all. Tip three: small typos in Tweets and other places. And I think this is a very good point. People who pick up on typos in Tweets are quite small-minded; everybody knows that Twitter and social media are very fast moving media. And you don’t have to be the next Tolstoy. Philippa: Yeah, I’ve always said that why I try to glance over tweets once I’ve written them, I don’t apply the same degree of standard to my writing in a tweet as I do to my writing in an article. And, I know that mean once in a while I’ll make a mistake but I can live with that, rather than spare the time it would take to triple check every tweet before going out. When it is a fast moving media. Having said that, the other day I did post a tweet where I used ‘and I, LH and I’ instead of ‘me and LH’ and I wrote it and posted it and then noticed and I did re-write it and delete the original. That’s not a step I would normally go though, I wouldn’t bother for a mistake on a tweet. But for some reason that one bugged me a bit more than a little typo, but, if you’re fretting to much about typos in tweets then you’re kind of doing Twitter wrong. LH: Absolutely and somebody will pull you up occasionally, I’ve had smart-alecs pull me up and say, ‘you wrote this’, ‘you didn’t put an apostrophe’ and generally if I’ve left an apostrophe out its because I’ve hit the 140 character limit. Philippa: And looking at it from a slightly different angle, insults given to a particular, atheist intellectual has become a complete meme on Twitter purely because of a grammatical mistake. Where someone tweeted ‘Your a’ – and then an insult I won’t say’. He spelt your, y-o-u-r and for some reason this captured Twitters imagination. LH: I’ve seen this everywhere and I really didn’t realize it was a meme. I thought oh gosh people really hate Richard Dawkins. Philippa: So this then became a thing where whenever Richard Dawkins popped up on Twitter, people in there thousands would tweet him ‘your a’ with you’re spelt wrong. It’s getting even wider now. People are tweeting it to other people. Whereas if you’ve written it in a grammatically correct way it wouldn’t have taken off. There was just something weirdly comical about the error, and so you might be subject to a meme, even if it is one that makes you cringe every time you see it. LH: Its weird, you can’t predict what’s going to take off can you? Philippa: Not at all, before we started recording, LH and I were talking about this in relation to something else that – it’s like all the planets have to all be aligned really, so many different factors have to be in place for something to take off on Twitter. LH: Yeah, you can rarely predict it, it’s just weird. Going back to the typo and the tweets, if somebody pulls you up on a typo in a tweet, what I generally find is that it is somebody who either wouldn’t of worked with you anyway, some smart alec whose got 10 followers n Twitter and isn’t looking for a freelance writer anyway, who is just looking to point score. Or it is somebody that you wouldn’t want to hire. I had somebody get in touch with me on Twitter and they said ‘My friend is looking for a freelance writer’ so I said’ Okay, what kind of writing is your friend looking for, I am a freelance writer thanks for getting in touch’ that kind of jazz. And he said, not your kind because there’s a typo on your website, he was going to hire you but now he isn’t. and this person pointed out where the typo was and it was clear that it kind of a WordPress issue, half a sentence had got stuck somewhere, I’d not seen it, so for people who don’t use WordPress, when you amend a page or a post on there, you can edit either in HTML format or you can edit in a format that’s more readable or suitable for people who don’t know HTML, so you can click insert picture and all your text is nicely formatted you don’t have any of the coding visible. Philippa: Yeah, you see how it’s going to appear. LH: Sometimes very rarely between the two formats, between these two interfaces stuff can get lost. You can stick stuff on the end of coding accidentally and it won’t show up in the formatted version, so when you click publish you don’t realise but there is half a sentence stuck at the end of the page. Philippa: I often, one of the things I find quite often between the two is that it messes up my line breaks, so in the HTML version it will look fine and I switch over and suddenly I’ve got about six inches between each paragraph. LH: To be fair to this guy, I should have checked, to be fair my whole website. But the fact he was looking for a freelance writer he could see all my experience, all my expertise, everything else was working perfect and there was one typo glitch on the website. Philippa: That’s a formatting glitch anyway, that’s not even a typo really. LH: No, I should of check it but, I don’t think its necessary to get in touch with me to say I was going to hire you, not even I, my friend was going to hire you but now he isn’t, just thought you should know. Philippa: And there are times to tell people they have made a typo. If I spotted a spelling mistake on Lorrie’s website, I’d tell her because I know she would want to know. And similarly I saw someone on Twitter with a typo on their website and they were someone I followed already or someone seemed nice again I would let them know. But what this guy was doing with you wasn’t that. He wasn’t being kind: “I thought you would want to know this page is a bit wonky.” What he was actually doing was trying…he was using that as an excuse to get at you. LH: Yeah, to make me feel small, and I did feel a bit, but I don’t want someone like that as a client. Philippa: And when it happens, you were quite upset by it, I think I did have to say to you ‘yeah, but if he’s like that would you want him as a client anyway’. LH: Exactly, it wasn’t the fact that I had made a typo or lost a prospect. He was never a prospect, I was never aware of this guy. It’s the fact that somebody had been kind of small hearted enough to get in touch with me and you know, if he knew that his friend was going to hire me but then decided, not to on the basis of that, he could of kept that to himself. Philippa: Exactly, why tell you. If I was buying a new radio and I looked at six different electronic websites and chose one, I wouldn’t then email all the other websites and say, I was going to buy a radio off you but in the end I bought it off Currys why on earth would you, there’s no need, it was only for the purposes of spite really. LH: Yeah, so that really feeds into point two and three of this small stuff sweating article, people being mean and people noticing small typos in Tweets and other places it doesn’t matter. Anybody who matters really, it’s not going to matter to them. Philippa: Those who mind don’t matter, and those who matter don’t mind. LH: That’s what I meant, but nicer! Philippa: It took me a minute to work it out, but yes. LH: Don’t worry me think it’s worthwhile. LH: Now tips four and five are the occasional overtime and skipping a post on your own freelance writing blog, and they both relate to being busy which we have discussed a bit this episode. Now overtime is a reality of freelancing, it is, there’s no cut off point really between freelance work and home life. Now there should be, you should implement some kind of cut off point. Whether you choose not o work Monday mornings you choose to work Sunday afternoons or whether you work Monday to Friday 9 till 5. Choose the times that work for you and try to keep your free time at least a little bit sacred, but not to the extent that you won’t do overtime. Philippa: Yes, you can get kind of precious to the point of being negative. That is will have a negative effect on your business where as doing two hours in the evening that you wouldn’t normally do as a one off isn’t going to do you any harm. LH: It can save your skin, can’t it? If you super busy or you’ve got an extra piece of work on that really needs doing and its time that your client knows that you wouldn’t normally work, say if you don’t normally work weekends and your client gets in touch, I really need this work can you rush it through for me you can sometimes charge extra for that. Philippa: And if it’s a very lucrative client who asks you for extra work, then two hours on a Thursday evening is well worth it for another six months of there custom. LH: Of course, and it’s your business. Don’t cut off your nose to spite your face. LH: And by skipping a post on your freelancing blog and this, I’m going to extrapolate that really, what Laura says is ‘Like many freelancers I have my own blog, I try to post stuff several times a month but sometimes due to my work load I fall behind and this feels like a failure but it really isn’t. And she’s completely right, sometimes when I’m super busy ill fall behind on updating my blog, updating social media and I really don’t consider it falling behind, I consider it letting stuff go that isn’t essential. Philippa: A few weeks ago, we skipped a podcast episode. Now we could have really stressed about that and in the past we have really stressed about it. But what we’ve both said to each other is that we both over run with paid work We weren’t willing to compromise out paid work just to get an episode out on time because we can’t do that it’s not responsible so actually we both agreed that paid work always has to come first. And so we missed a week, and we were disappointed and we would rather not have done, however, it’s certainly not something to be really hard on yourself about. LH: The world is still turning, the podcast as you can well hear, is still recording and life goes on. We have got the work in. Philippa was ridiculously busy on the week where we skipped the podcast I as ridiculously busy the week before and we were both super busy when we weren’t ridiculously busy. It wasn’t going to happen. Philippa: And had we given in to a massive amount of guilt and stress and worrying about would it affect our listenership, and would it affect our stats. We would of just slowed ourselves down in everything else we were rapidly trying to do, so not only is it less stressful to give yourself a break, it also won’t have a negative impact on the rest of your work if you can take it with a bit more relaxation. LH: Of course, and so that is why I recommended this handy freelance folder article because I just think that’s it’s important, It’s an important point to make especially after such a hard topic, saving money can be really stressful, for some people saving money might well be just a case of streamlining your finances and cutting out stuff you just don’t have to pay. No matter how much money you’ve got you don’t want to throw it away. You don’t want to walk around with a pocket full of money and just have it dropping out of your pockets as you walk, there’s no reason to do that. But for other people finance can be a really stressful topic, it can be something that keeps you awake at night, as you try and work out where to get the extra £5 you need to meet your gas bill or the extra £10 you need to pay for your child’s school trip. It can be a really, really stressful thing. So it’s important that you stress about what you need to stress about and you chop out stress you just don’t need. I think all of these five recommendations here are really good recommendations for things you should just let go. And especially if you are very stressed, it’s hard to see things rationally and you can start to stress over the weirdest things. So you could almost use that as a checklist: “Is it beyond my control? If so there’s no point stressing because there nothing I can do.” Will it make a difference in the long haul run? Missing one podcast episode won’t make a difference in the long run. Is it a common problem that normal people would understand? If we said to friends we are so busy and we’ve got to fit the podcast in I think that most normal people would understand that it was perfectly fine to skip one. LH: I said that to somebody else, If someone said that to me, I’ve got this commission I’ve got all this work and I need to do a podcast, can’t you skip it. There is no point getting up at 1am to record an early morning podcast and then working through, and being absolutely exhausted and having to transcribe it and edit it and upload it and do all the writing around it, I would just say skip it for this week, do one next week, problem solved. So, Philippa: your recommendation this week. Philippa: My recommendation this week is a combination of a website and a little piece of software. It is called Work Timer and can be found at worktimer.co.uk and I will put a link to that in the show notes so you don’t need to remember it. And it is very much what it sounds like, it is a way of tracking the amount of time it takes you to do various tasks that are involved in your work. Now there is the website which links to this piece of software which you can download called WorkTimer desktop and through this software and the website you can manage what you’re doing and keep reports on how long you spend doing different things. The way it works is that you specify projects and you set up a project, which might be Podcast, for instance, or it might be blog post and if you want to know how long it takes you to do those things then that is your project and then you go into the project and set up tasks. Under tasks for the project we might have episode planning, recording, editing and transcribing. And then with those, with the software you just click start and then you click stop when you have finished. Or you can stop/ start depending on how you work. Now it syncs regularly with the website which also then keeps a record of all your projects and all your tasks. Now it’s a completely free piece of software, first of all. LH: I like it much better now, I liked it a lot but now, how in keeping with our money saving episode. Philippa: And also what’s good, despite is that despite it being free there are no limits to, for instance how many projects you can have on the go because of a lot of these things might be free for three projects but anymore than that you have to pay. So that’s good about it. Now if you’re doing work that’s paid by the hour rather than by the project, which isn’t my favourite way of working it does do some tasks better and it’s a great way of keeping a record of how long you’re working, so you know how much to bill, but also it’s a great way of making sure that if you’ve agreed to do two hours work on something, making sure that you’re not ripping yourself off by doing three and a half instead. Now you can then, you do all that on the software and you can then head over to the website which will produce reports for you, you can invoice via the website based on the hours you’ve reported per project, you can export data in numerous different formats f you want to analyse it on you own, and I think I mentioned before, it’s all backed up. So that’s all really good features, buts what also can’t be overstated is that it’s really simple to use as well. I’ve tried various of these types of software an a lot of them are big pieces of software first of all so they take up a lot of memory and also a lot of your computer juice, so you slow down when you’re using it. Given that you’re timing your work, you don’t really want to be running a slow system at the same time. Its simple, it does exactly what I’ve described it doesn’t do more clever things that you don’t need that make it bloated, its very, very simple and straight forward. And, what I also do with it, especially with new clients, if I’m doing work based on an hourly rate I will screen shot my project break down so I can show the client how long I spent researching there blog posts, how long I spent writing it, how long I spent proof reading it for instance. And it gives them I find a bit more confidence in the amount you then invoice them, because other wise they might look at a four hour invoice and think what was that four hours made of, but if you show that you spent three quarters of an hour researching and an hour and a half writing then they can see where there money is going. LH: Especially if you work for them on a number of occasions and they see that the figures generally stay on a level, and relate to the length and complexity of the work that you’re doing for them. Philippa: And its really easy to start and stop, so if you do half an hours work, then have a break, just click stop when you come back to it, its there again. The other thing you can do is, input your hourly rate at which point it then how much you’ve earned on a project as well. So yes it is called Work Timer and Work Timer desktop and I only tend to use it on timed work, although sometimes it can be a good productivity tool. It can keep me focused, if I’m struggling to find my focus, then I might get it out then as well just to keep myself working. LH: Especially if you know that time is ticking away. Philippa: Exactly, there’s nothing like looking at an empty page and then checking your timer that 25 minutes have passed, to make you realise that you really should be typing by now. So, it’s handy for literally what it does, for keeping time for your billing but it can also be used as a productivity tool and accountability tool as well. Philippa: Yeah I do the same, not necessarily the same way, but I keep copies of things. LH: So, the reason I chose Google Drive for it, if you convert your word documents or your Open Office word processor documents, whatever software you use, if you convert that to Google Drives own format of a word processing document it takes up zero storage on your Google Drive. So, you can put as many word processing documents on your Google Drive and it just won’t take up any space and you can free up, you know, because word processing documents are not huge at all, in terms of memory on your computer but when you’ve got hundreds and then thousands. LH: Yes, so yeah going back to your recommendation Work Timer its fab. Its fab that you’ve got such a brilliant tool that doesn’t even cost anything, it doesn’t take up space on your computer and you can’t really fault it for that.It’s streamlined and it’s not going to slow you down its only going to help things. Philippa: To coin one of LHs phrases, it does what it says on the tin. LH: It does do what it says on the tin and I like that phrase. Philippa: I know you do, and it’s not trying to be everything to all people. LH: That’s usually when things start to fail. Philippa: Exactly, it’s trying to do a specific thing and it does that specific thing very well. I don’t use the functionality of sending an invoice from the work panel website, but that’s because I have my own invoicing system. If this was something you used on most of your work then, that could be an incredible time saver as well. LH: Absolutely its fab. Whether, you choose to use it for that or not. I only think its going to help streamline you work method. LH: And so that brings us to the end of episode 50, we have reached quite the milestone. LH: And we hope you’ve enjoyed it as much as we have, because we really have had a fabulous time, researching, planning and recording all of these lovely podcasts for you. Philippa: Yes, we have. It’s hard to describe just quite how much of a good time, playing you our outtakes but that’s just never going to happen. LH: Then maybe it could happen, but probably not. So if you would like to subscribe to the podcast which of course you would, go to alittlebirdtoldme.podomatic.com and you can subscribe from there. You can zip through to ITunes, Stitcher smart radio and subscribe from there. You can subscribe through RSS feed; there is no excuse to miss another episode, so go ahead. Go and have a chat to us, out Facebook page is also listed on the Podomatic page, our twitter feeds are also there and out websites are too. Any questions, any queries, any comments, reviews, feedback, anything at all as long as it’s nice, come and have a chat. Philippa: Absolutely, we love hearing form you and getting new ideas and feedback on what we’ve already done. So don’t be shy, we’re both mostly friendly but I’d avoid us pre 8am, to be honest. LH: Yes, pre coffee. Avoid us pre coffee we’ll be fine, you’ll be fine we’ll have a nice time. And here’s to another 50 episodes. Philippa: And I have been Philippa Willitts and we will see you next time.